“You’re so lucky! You get to play with puppies and kittens all day!” I try not to laugh when people tell me being a vet tech is just playing with cute animals all day. I know they mean well, despite the slightly condescending tone, but there is only one thing about my job that really gets under my skin, and that is when clients complain about the cost of veterinary care. Here are a few reasons why. I can’t tell you how many times I have heard this statement. Each time, it blows my mind. Nobody enters the animal care field without a deep love of animals. Otherwise, we wouldn’t work a job where getting slobbered on, peed on, pooped on, shed on, humped, scratched and bitten were all part of our daily routine. When you turn around at the end of the appointment and tell us that we are heartless for charging for our time, it hurts. Most of us have pets. Most of us have several pets. We adore our animals, and we know that you adore yours, which is why we take the time to love up on your fur babies like they are the most amazing creatures we have ever seen — we know that to you, they are. We also pay vet bills. When you look at your bill in horror after the emergency surgery that removed the sock from your dog’s intestines, we understand. We’ve been there. We, too, have shelled out thousands of dollars for our pets. We paid for those surgeries, preventatives and medications with money that we earned from our jobs — jobs that happen to be taking care of your pets. If we did that for free, we would not be able to support our own pets, pay our bills, feed our children or pay off our mortgages. “Vets charge way too much. They are just in it for the money.” I hear this almost every day, and I get it. We are used to insurance covering our own health costs. We don’t see the real cost of medications and services when we go to a doctor. So I do understand that to you, the cost of a visit to the vet seems unreasonable. Sure, there are bad apples in the bunch, and the internet is full of horror stories about vets ripping off clients. I am sure you think you have your own, but before you get angry and jump to the comment section, please listen. Veterinarians make a fraction of what human doctors make, and yet they pay almost the same bills for medical school. Your veterinarian could have gone into human medicine, where they would make three to four times more money by charging three to four times as much, but they didn’t, because they love animals. There is a markup for medications. Your vet needs to make money to stay in business so that they can continue to provide the services your pet needs. However, the markup and the paycheck are not as high as you think they are. I know. I am a vet tech. I do a lot of the ordering, and I see the invoices. There are bad vets out there, just like there are bad people in every profession. 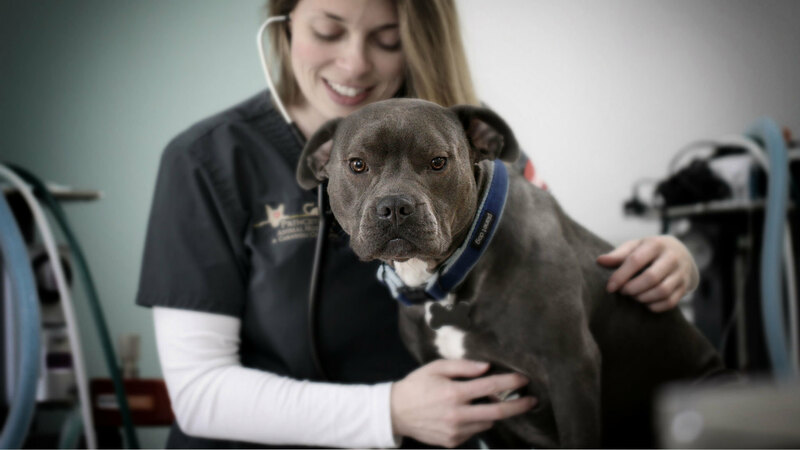 If you feel pressured into a veterinary service or feel like you cannot trust your veterinarian, it is your responsibility to find another doctor, but please don’t just assume we are price-gouging you to put more money in our own pockets. We charge for our services so that we can continue to care for your pets, not to build luxury oceanside mansions. I understand that you are upset that you have to pay more than you feel you should for your pet’s care. I won’t remind you that nobody forced you into pet parenthood. I won’t ask you what you do, and demand that you give me your services for free, because after all, “Don’t you love people?” I will remind you that we have feelings. Your veterinarian, vet techs, vet assistants and receptionists all work in this field because we love animals. All we are asking is that you treat us with the same respect we give your pets. More: What exactly is a holistic vet?